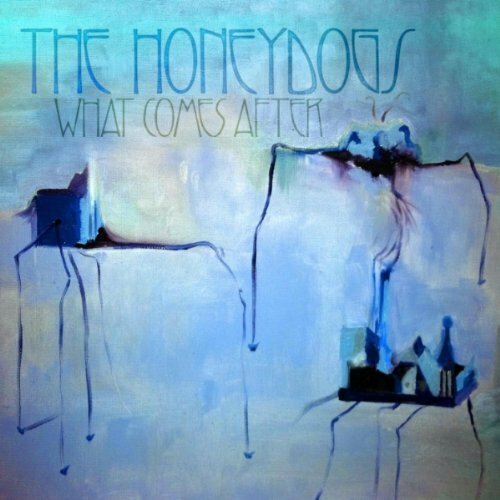 On my third listen through What Comes After, the 11th album by The Honeydogs–Minneapolis’ other favorite sons (The Replacements and Prince being the others), I couldn’t help shake the feeling that Adam Levy and The Honeydogs have no interest in making popular music. The pieces are all there. Alert ears can pick up a wide range of musical influences fused with lyrics that are smart without sounding elitist and poignant without being sappy. The end result is a logical outgrowth of the ten albums which preceded it, a singular work that couldn’t have been recorded by any band other than The Honeydogs. But they didn’t record it to tap into some niche pop-music zeitgeist—they recorded it for themselves and their fan base. This makes for fabulous listening, but a frustrating time trying to describe the album to the uninitiated. In one moment, What Comes After evokes the Beatles with clever song construction and undeniable pop hooks. In the next, it summons notes of Burt Bacharach. Here you’ll get a touch of lyrics that remind me of Josh Ritter, or piano that calls to mind Ben Folds, or a refrain that could be Bob Dylan. Or Beck. Or Hank Williams. It is also frustrating because this album deserves to be huge. But the pop-music machine seems singularly designed to keep exactly this kind of originality out of the marketplace. The Honeydogs serve up an amazingly perky horn arrangement on “Aubben,” then sweeping strings on track later with “Everything in its Place.” Guitar and banjo feature on “Particles or Waves,”—same as “Blood is Blood” with the added bonus of some sweet, sweet accordion. The whole album closes out with a dose piano, organ and strings on the masterful “Turning Around.” Yet despite the shifts in tone and arrangement, the album plays as a unified whole, and undeniably THEIRS. Some songs had less of an impact on me than others. “Fighting Weight” had elements I liked, as did “Death by Boredom,” but they didn’t grab me as completely as some of the other tracks. But even the weakest links on this album are better than other songs on the radio. Is it because Adam looks scruffier than Justin Bieber? That has to be it, right? Now, a certain degree of this album is preaching to the converted. I’ve been a fan of the band since their criminally under-head album 10,000 Years. (Really, if you can find that album anywhere, buy it. Don’t hesitate. Don’t think. Just throw your money at them and run away cackling like a madman. I promise, you will thank me later.) It breaks my heart every time I recommend The Honeydogs to supposedly savvy music fans only to be met with blank stares. These guys deserve a lot more recognition than they get. Doubt me? Tell you what: go to Amazon and preview the whole album. You’ll hear about a minute or so of each song. It’s a goddamned gem. And while you’re listening, think about the fact that What Comes After was put together in under a week in the studio. While that really shouldn’t help inform anyone’s decision, it still blows me away. Here’s what you should consider–do you value musical craftsmanship, some clever pop hooks, and lyrics that actually say something? Are you tired of the crap being forced down your throat on the radio? Did you like, oh, let’s say 3 of the songs you liked on the samples you listened to at Amazon? Do you want music that’s genuinely good, or just good enough?